Buy my Colorado Springs CO house for cash - 2 Questions... Swift Results, Inc.
Do you own a home in Colorado Springs, CO which is facing foreclosure? Or, do you just need to sell your Colorado Springs house fast for another reason (you inherited a house, relocating and need to sell, lost your job, agent can’t sell your house, etc.)? If you find yourself in any one of these situations, then one of your best options could be for you to find someone to buy your Colorado Springs CO house for cash. By doing this, you will not only improve your credit rating but also get extra money into your account. Your credit score, which is an important aspect of your financial life, will not be negatively affected since you will settle your debt in time. Plus, you can use the extra cash from your sale for other purposes. Before you do this, however, you should study the current market conditions in your area. Figure out what factors are likely to influence the value of your home… before getting ready to sell it. The first step that you need to take in order to sell your Colorado Springs house fast to someone else with a “buy my Colorado Springs CO house for cash” mentality, is to come up with a game plan. If you already have a real estate agent, he or she should help you come up with this, as your agent should have access to the latest information on property values which will help you quote the right price for your home. Also, be sure to negotiate with your lender as you move forward with this. If you need to sell in less than 2 months (or even less time than that), odds are you won’t have the time to list your house with an agent, as the listing process takes time and, if any repairs are needed, money. You’ll likely have to try to sell the house yourself (if you know how to) or sell your house to a local professional house buyer like Swift Results, Inc. (or you can call us at (719) 548-4755 and we can make you a fast-fair all-cash offer on your Colorado Springs area house). Note that above it says “how much do you need” to sell for. If you’d like to sell your house for full retail… but you have to sell your house fast and can’t afford to list it with a real estate agent… determine what you need to get out of your house sale. What you want and what you need can be drastically different, particularly if you need a fast sale. If the price you “need” to get doesn’t leave room for a real estate agents commission, then you may need to look seriously at selling the house FSBO or getting an offer from a local real estate house buying company, like us, to see if that gets you closer to where you need to end up, and when you need to get there. On the flip side… if you need near full-retail value and you are lucky enough that you can wait it out for a retail buyer to come along who can pay that price… list your house on the MLS. If you don’t have the time… consider talking to us for a fast cash offer on your house (we can make you an offer in less than 24 hours and close in as little as 7 days if you need to, with all cash). Real Estate Agent: Can you afford to wait 3-6 months to sell and pay the 3-6% in commissions on the sale? If so, going with an agent will likely get you your highest price on your property. Local Real Estate Investor / House Buyer: If you need to sell fast, we can buy your Colorado Springs house in as little as 7 days. We won’t be able to pay full-retail on your house… but we don’t charge any commissions or fees at all. What we offer you is what we pay you. If you value your time and a quick sale more than making a few extra bucks 6 months from now… call us today at (719) 548-4755 or click the link below to fill out our online fast offer form. 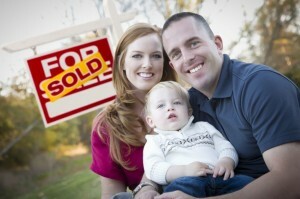 We can help you strategize how to sell your Colorado Springs CO house fast. Give us a call at (719) 548-4755 for help selling your house fast, or fill out our form to see if your property qualifies for a fast-fair all cash offer.